The Kleopatra loved by Mark Anthony and others is given a stature—and a minor change to her name to underline her Greek lineage—in a richly textured if sometimes strained debut. A descendant of Ptolemy I, and a member of the same Greek family as Alexander the Great, Kleopatra is not a beauty—refreshingly, Essex emphasizes her learning, knowledge of many languages, and understanding of history and politics rather than her looks. The story opens as three-year old Kleopatra, her father’s joy, watches her mother die. Within days, her half-sister Thea seduces father, King Auletes, marries him, and becomes Queen. 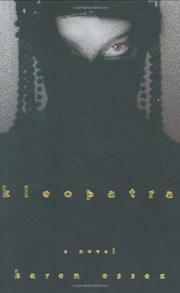 Thereafter, as Kleopatra grows into a young woman, she must contend as much with disloyalty inside her family as outside. And the times are turbulent: Rome, under the triumvirate of Julius Caesar, Crassus, and Pompey, is expanding, and threatens Egyptian sovereignty; the native Egyptians are restless, resenting the King’s extravagance and the heavy taxes they must pay him; and abortive uprisings are common. The king, in turn, a weak and self-indulgent man, relies on Roman money to pay his soldiers and keep creditors at bay. Kleopatra fears for her father’s continued rule as her elder sister, Berenike, plots to be queen and go to war with Rome. But the preternaturally perspicacious young Kleopatra, understanding that a relationship with Rome is the family’s only hope, encourages her father to visit that city with her, where she meets and befriends the powerful. She becomes Queen when Auletes dies and, heeding custom, marries younger brother Ptolemy XIII, a weak boy whose advisers want her dead. She flees Egypt, but, with the help of her loyal counselors and her own wits, defeats her enemies. At 21 and back in Alexandria, she is ready to fall in love with Julius Caesar, now in Egypt with his army. A bit of a stretch—could Kleopatra have been this wise and wonderful?—but an agreeably intelligent and lively read nonetheless.